Knee-deep in data washing – more on that at a later stage – I paused for a moment to consider future scenarios for the DAAO data in the new iteration. 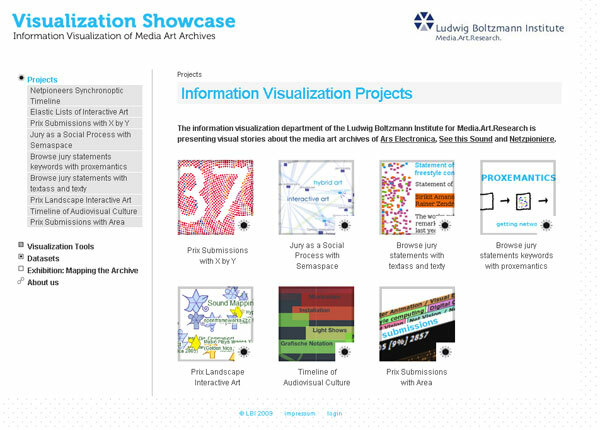 After a quick spot of googling, I came across the Visualization Showcase of the Media Art Archives. This is a wonderful initiative for interrogating the structures that support and develop new media art. My favourite is the network analysis on submissions to the Prix Arts Electronica: Media Art as Social Process. I can imagine the DAAO data providing a similar purpose! There are a number of different datasets and explanations of visualization tools used. I thoroughly recommend having a good sticky-beak!